KIGALI – Rwanda president Paul Kagame has said no actions of a country or individual will bring him and his country down. 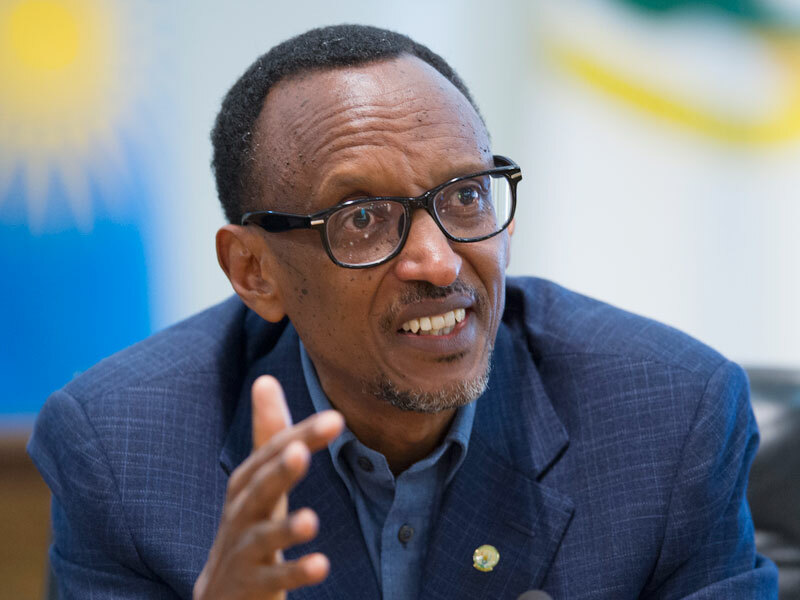 Speaking on Friday amid the ongoing diplomatic standoff between Rwanda and Uganda, Mr Kagame revealed his frustration in his perceived failure by the stakeholders to engage and find a solution to the conflict. Rwanda over 10 days closed it’s border with Uganda at Katuna, accusing Kampala of hosting rebels seeking to destabilize Kigali and arresting Rwandan national. It also advised it’s citizens to avoid traveling to Uganda, arguing that they are not safe. Since the closure, none of President Museveni or President Kagame had openly spoken about the matter, with the two countries choosing to use their ministers of foreign affairs. While Mr Museveni is yet to speak about the matter, Mr Kagame, while addressing a high-level meeting of cabinet, immigration, police and military representatives in Kigali, re-echoed the concerns raised by his minister Richard Sezibera last week and accused Uganda of hostility. “I am not in control of what people think about me or what they are planning about us or what they wish for me but what I know is that I am in control of what happens in Rwanda. You can kill me, that’s possible anywhere any time but nobody can bring me to my knees and please Rwandese we should never accept this anywhere any time,” Mr Kagame said. He added that he met Mr Museveni recently at the African Union Heads of State Summit in Ethiopia and raised to him the issues of Uganda hosting dissidents seeking to destabilize Rwanda but that the Ugandan leader has chosen to ignore them. President Kagame’s remarks are not serving to exacerbate the already fragile situation between the two countries. Ugandan goods heading to Rwanda are now highly restricted and those allowed entry paying high taxes. On Thursday, Uganda in rebuttal to Rwandan also issued a travel advisory to it’s citizens seeking to travel to Kigali, urging them to go via Cyanika and Mirama Hills border points and return through DR Congo. While speaking to the East African newspaper last month, Mr Kagame’s said Rwanda’s relations with Uganda will never be the same again. “With DR Congo, we have no problem. But between South Africa and ourselves, there are these matters that go around in the media. Some of the things that are said to be believed by Uganda about us, are coming from these individuals living in South Africa. It is these individuals in South Africa plotting all kinds of things against us [and they] are the ones giving information to Uganda in a way to solicit support from Uganda against us,” he said. “Whether accurate or not, the information is designed to create that problem from which they benefit. If Uganda believes in some of these things, it is because they have made a choice to believe them. We have raised these matters with Uganda; that when they are given information, it is because those people want to buy Uganda’s support,” he added.